Ruben Baumgarten (1969), MD, PhD is a businesslike, results-orientated Medical professional and a visionary and experienced entrepreneurial Executive Director. He is extensively trained both in medical research and clinical biochemistry. Part of his training was performed at the Johns Hopkins University School of Medicine. He possesses therefore specialist expertise within diagnostics and has extensive knowledge of the (government of the) medical field. Besides that he is knowledgeable about regulatory affairs and quality systems. Roel de Rijk has been working for over 25 years on the question how dysregulation of cortisol action affects human health. His major focus has been functionality of genetic variability in human corticosteroid receptors and their role in vulnerability for several disorders. He founded DynaCorts with the aim to use this scientific knowledge in aiding medical treatments leading to decreased suffering of patients with psychiatric disorders. 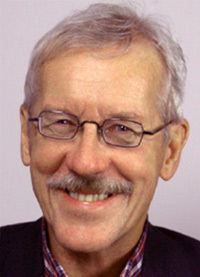 Edo Ronald (Ron) de Kloet, PhD has more than 40 years of experience in the neuro-endocrinology of stress with focus on the question how the stress hormone cortisol may change of a protective into a damaging signal. He received numerous awards including the Golden Emile Kraepelin Medal in 2014. From 2004 until today he is Academy Professor of the Royal Netherlands Academy of Arts and Sciences and is currently associated as emeritus professor with the Department of Endocrinology, Leiden University Medical Center. He has an oeuvre of more than 500 scientific articles. George Hersbach is an entrepreneur and corporate manager with thirty-five years of experience with private and publicly traded companies in various countries in Europe and the United States of America. 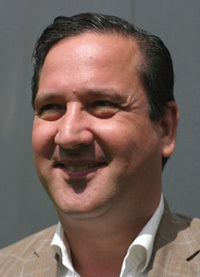 He is President & CEO of Heartstream Group, of Naarden, the Netherlands, which he co-owns and co-founded, with fully owned subsidiaries Heartstream Capital, holding participating interests in companies, and Heartstream Corporate Finance, financial advisor, and with focus on listed and selected private "healthcare" and "cleantech" growth companies. Apart from serving on the board of DynaCorts, Mr. Hersbach is member of the Board of (Supervisory) Directors of NovaRay Medical (medical device cardiac catheterization imaging), NanoCorp (nanotechnology investor and shareholder of Gilbert) and Gilbert Technologies (medical device inhalers), has been serving on boards of various other companies in the (recent) past, including Théolia (wind energy) and Ecolutions (solar energy), and is member of the European Commission's Strategic Advisory Board of the Competitiveness and Innovation Framework Programme (CIP). 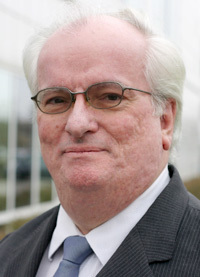 Until 2002, Mr. Hersbach was President & CEO of Pharming Group, of Leiden, the Netherlands. Prof.dr. 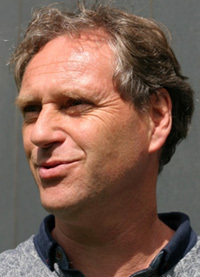 Ron de Kloet also is a member of the advisory board.